This is the 2019 model of the fan favorite Tata Harrier, an SUV to rival the Mahindra XUV500 and Jeep Compass. It launched in January of this year, and comes with Omega Arc, similar to the D8 or L550 platform by Land Rover. These are the underpinnings of their Discovery Sport and Range Rover Evoque models. However, it comes at a third of the price. Almost everything is different from the previous model. The price is between Rs 12.69 and 16.25 lakh. Read on to learn more about it. The Tata Harrier bears one of the best SUV lines currently out there on the markets. There are Xenon projector headlamps in the front, with blade LEDs above, combining the daytime lights and indicators. It also looks rather aggressive. When it comes to the overall profile, this is a nice mix of the Nexon, the H5X Concept, and the Discovery Sport. The car sports swollen arches and a rising window line that ends with a black D pillar. This design gives it a floating roof effect. In addition, there is a metal panel with “Harrier” on it. The biggest drawback are the small 17-inch wheels. The rear end is the most similar to the H5X Concept. It has a slim rear windscreen above an elegant strip with LED taillights on both ends. Indicators and reversing lamps are halogen, too. The back also sports a “Harrier” badge, faux exhaust vents, and a skid plate. Sadly, the interior has always been a problem for Tata. However, a lot is improved on this model. The materials are new, with soft faux leather on the dash top, imitation wood on the dash, and thick metallic door handles. The upholstery is brown, for a nice touch and the overall color scheme. The front seats are supportive and big, but the lumbar support is a bit excessive. The whole cabin feels more premium and rich than the one in Compass, but it is no Jeep. The dashboard is simple, elegant and minimalistic. There is an 8.8-inch touchscreen, central AC vents, and HVAC controls in a neat recess bound by a silver strip. The door handles have a leather finish and look rich and feel solid. The steering wheel is underwhelming when compared to the rest, and seems out of place. In the back, there is a lot of room for passengers. And not just legroom, as the seats are pretty wide and flat. The view is great unlike in the front, while the AC vents are in the B pillars. The lack of the sunroof is something that will drive away many potential buyers. 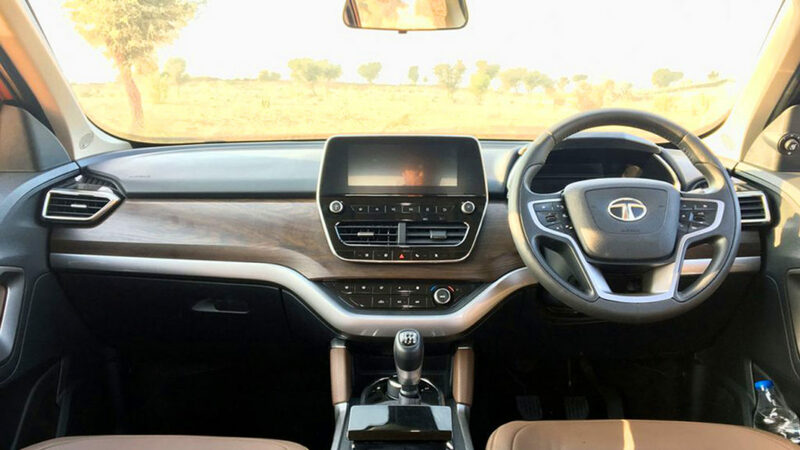 There is no third row of seats despite the size of the Tata Harrier 2019. The boot offers 425 liters, but it is shaped in such a way that you can fit a lot of stuff in there. Regarding equipment, the SUV has keyless entry and go, auto climate control, rear parking sensors, rear view camera, cruise control, six airbags, cornering lamps, auto wipers, and auto headlamps. 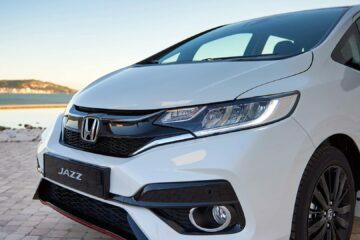 In addition to this, the car offers a 9 speaker JBL sound system, and puddle lamps that project the silhouette on the road. The central piece is the dual screen combo of the 8.8-inch touchscreen and the 7.0-inch instrument cluster screen. The first uses the latest interface, smoother than the older one. It offers Android Auto and Apple CarPlay, and can connect to your smartphone. The second screen takes up most of the binnacle, and has a digital tachometer and a detailed fuel computer. Driving modes are displayed, as are the navigation and relays media from the big screen. Unfortunately, the car lacks an automatic gearbox and AWD. 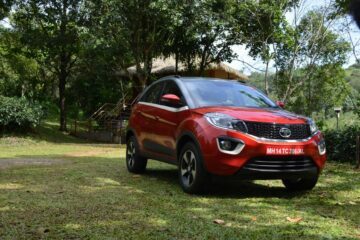 It has four-wheel drive and is powered by a diesel-manual engine, a 2.0-liter Multijet II from Fiat, found in the Jeep Compass. The power output is 140 horsepower, with 350 Nm of torque. The engine is quite noisy, in all modes and at all speeds. The ride is pleasant. The gearshift and clutch actions are light, and the car is responsive. For most of your needs, you will be better of in the mid-range model, between City and Sport. It is comfortable to drive and to ride in. It is tough, planted and confident, and not at all sporty or a sharp handler, which is okay for a car like this. 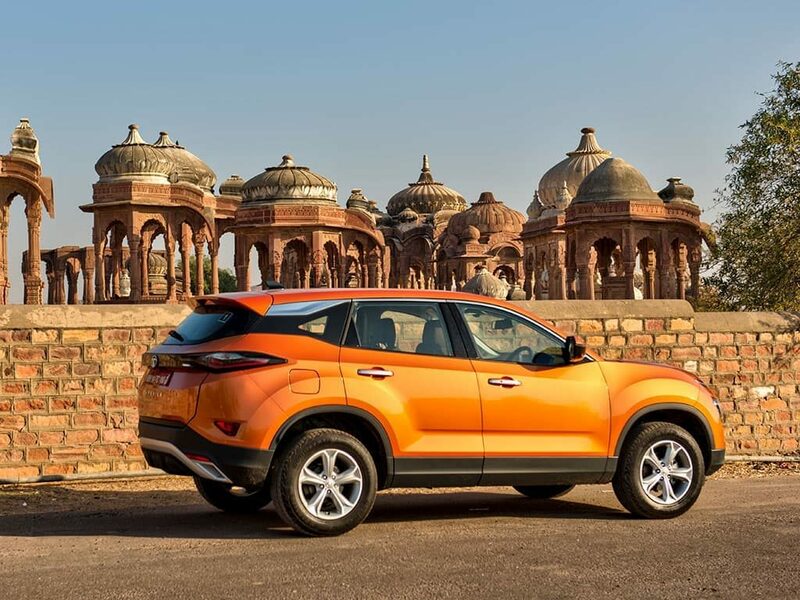 When it comes to driver aids, the Tata Harrier has ABS, hill-start assist, hill-descent control, traction control, stability control, corner stability, brake pre-fill, brake wipe, rollover mitigation, and the hydraulic brake fade compensation. It is disappointing that it lacks rear disc brakes, but it has good braking performance overall.